SmartStart Seed Fund is an exciting new opportunity for Ontario's next generation of entrepreneurs to access much-needed funding to take their companies to the next level. Open to young entrepreneurs from the ages of 18 to 29 and non-youth led start-ups from the age of 30+, the program provides both seed financing and financing for entrepreneurship skills training to help recipients grow their companies and make them investment and customer ready. Our team includes entrepreneurship, technology, business, finance, media and marketing specialists and experts. We provide customized solutions for every organization we work with, no one plan or strategy is the same, and is unique for their solution and industry. We provide training and services in: business strategy, planning, and design; marketing analysis, strategy and planning; Entrepreneurship: customer discovery and development; Growth hacking; Product development & design; and R&D planning. 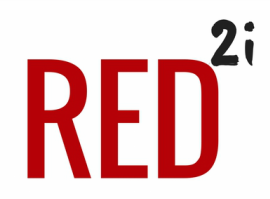 RED2i is a Canadian not-for-profit co-operative innovation strategic group which works on projects with entrepreneurs, and industry to create technology which helps humanity.